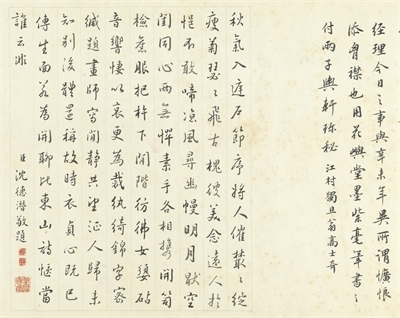 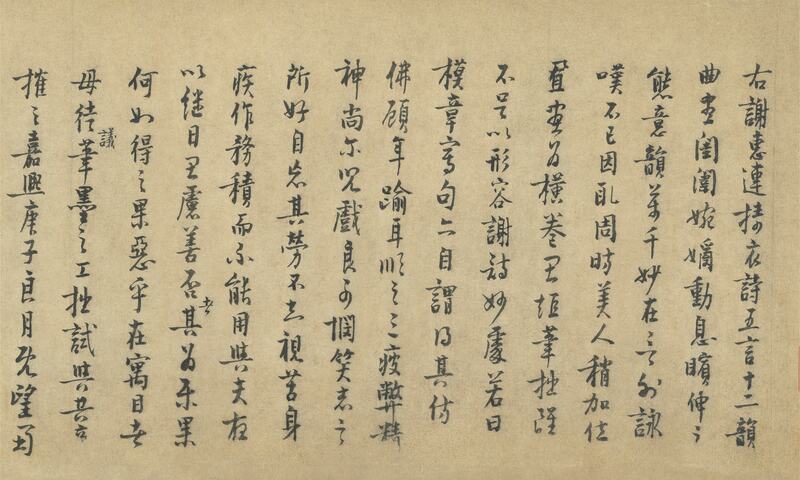 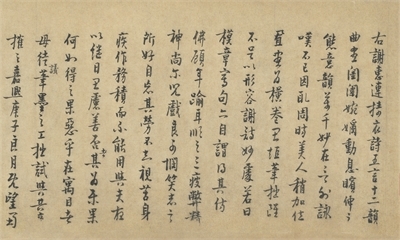 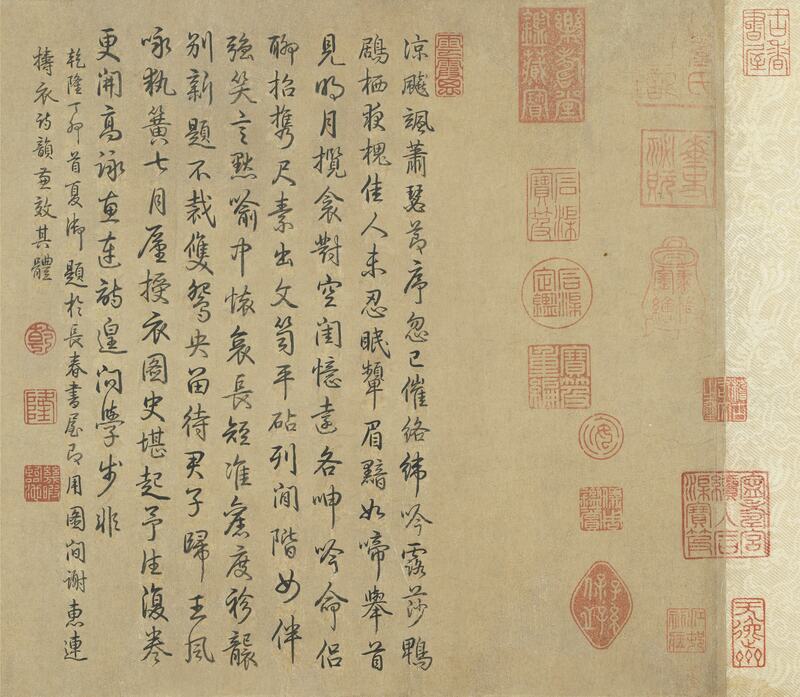 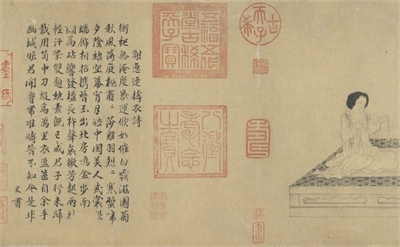 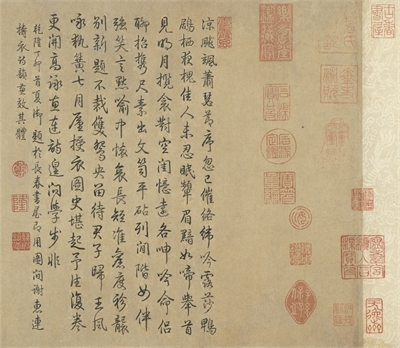 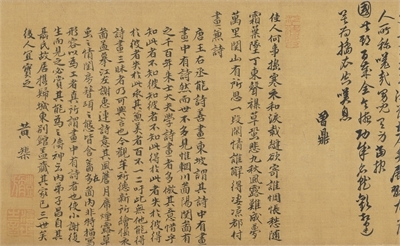 Mou Yi, a native of Sichuan, was active under Emperors Lizong and Duzong in the thirteenth century. 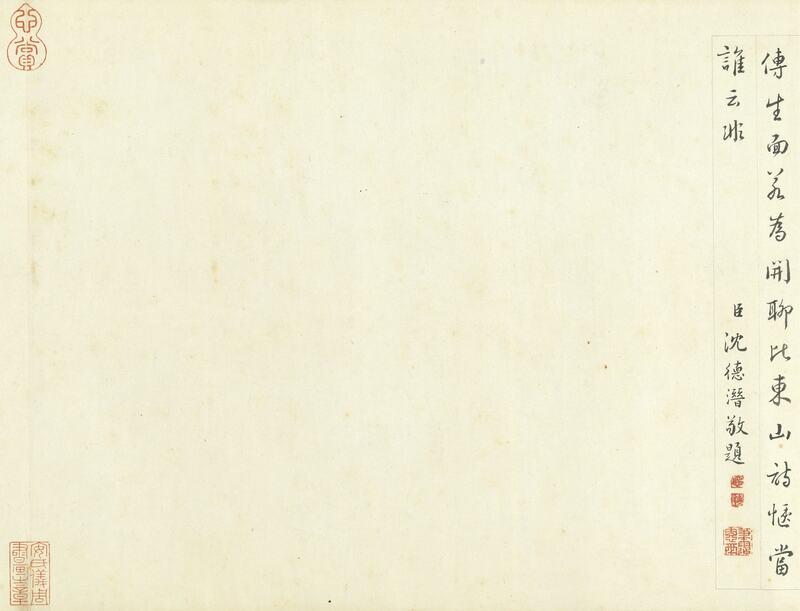 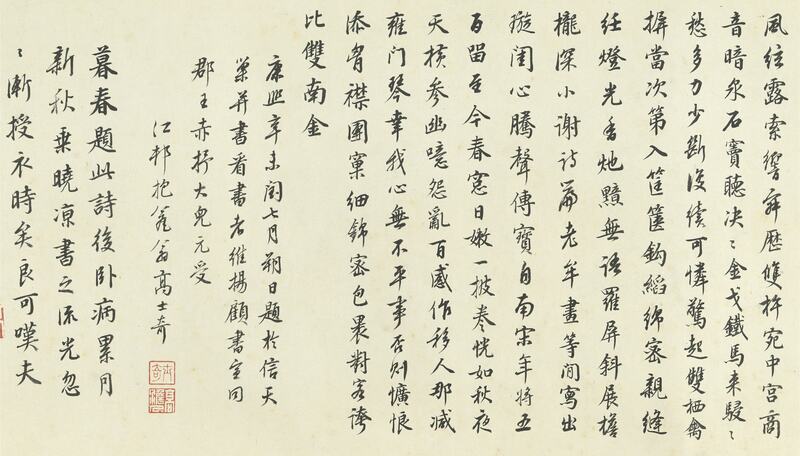 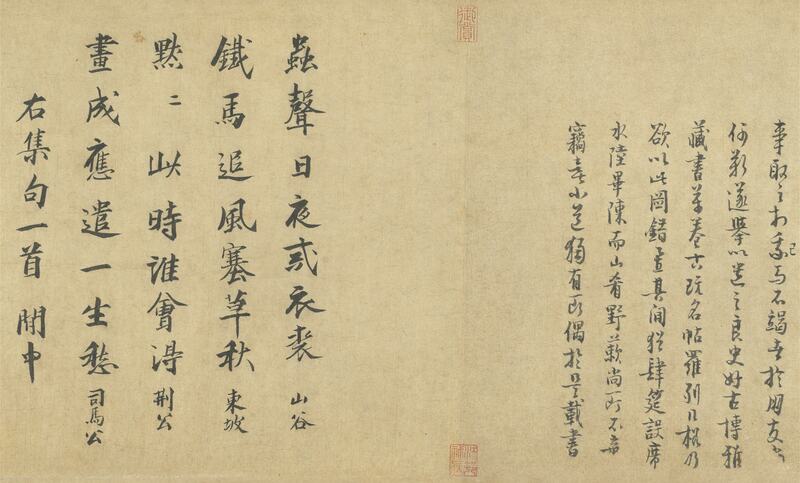 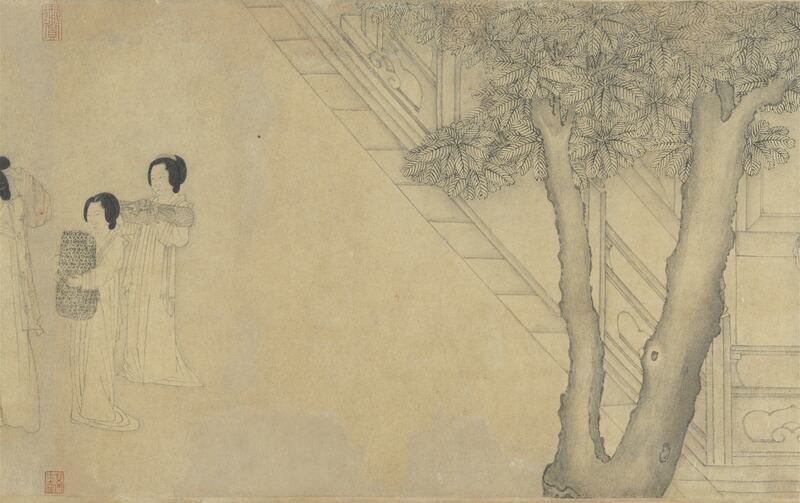 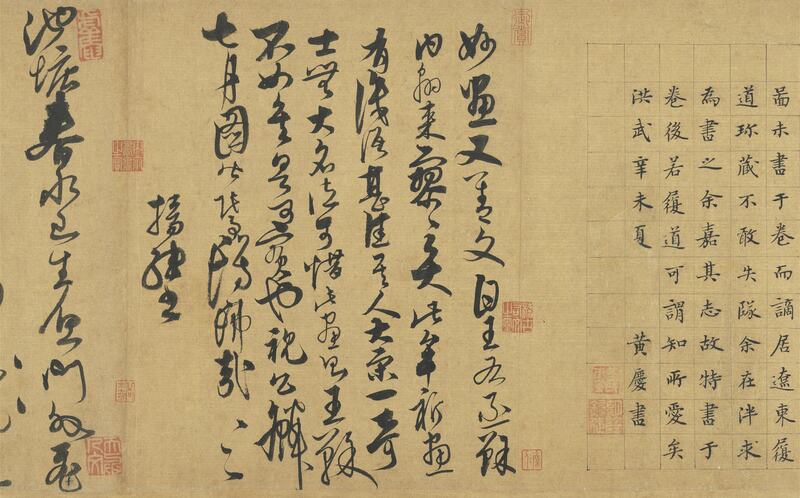 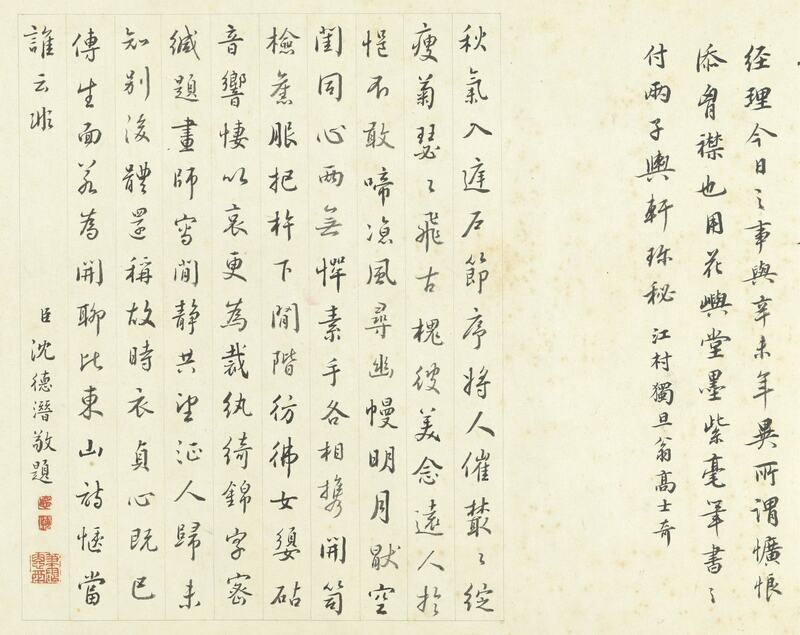 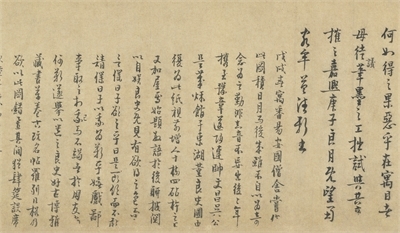 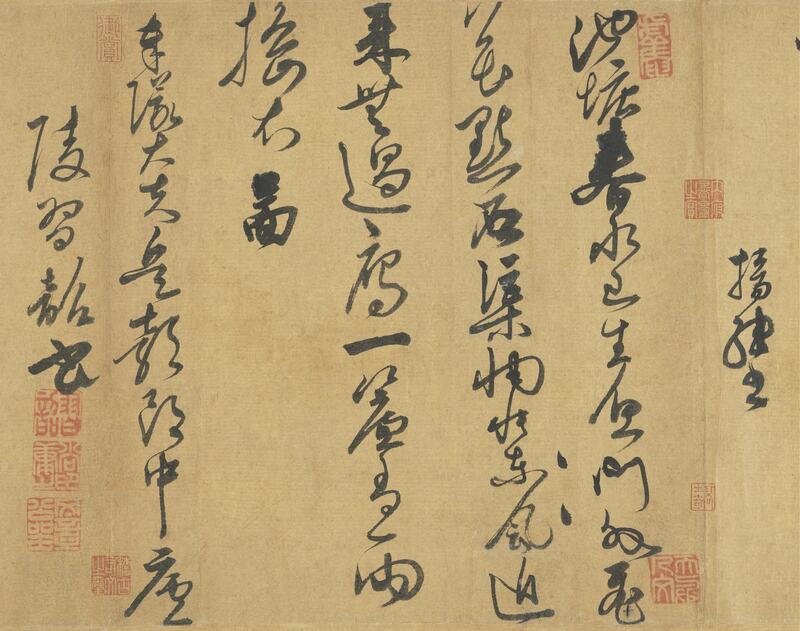 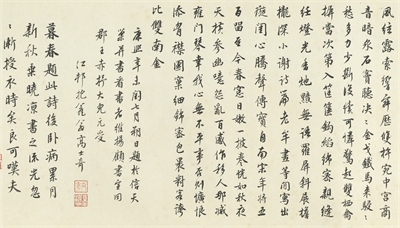 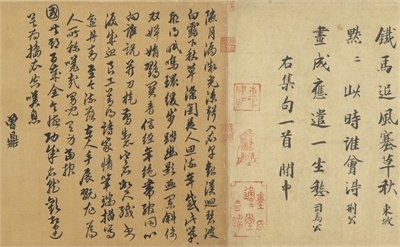 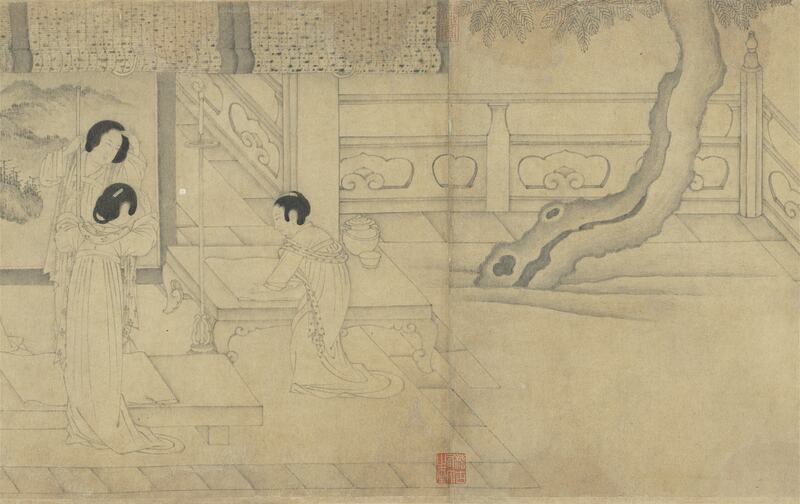 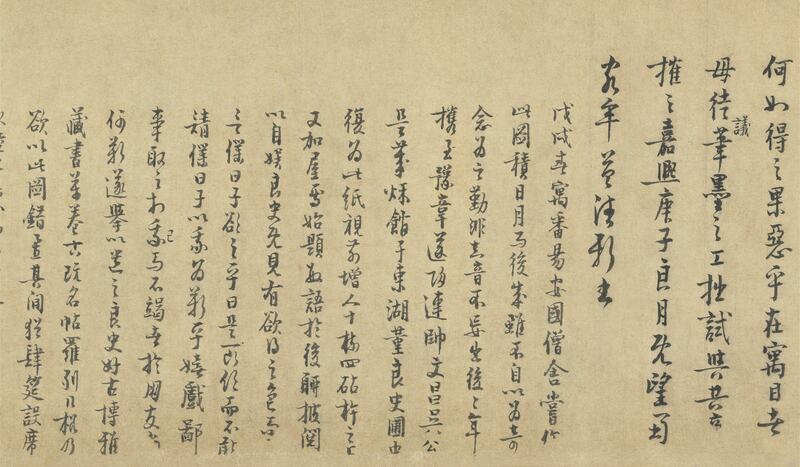 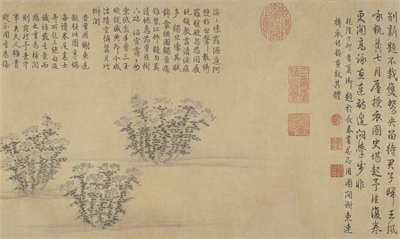 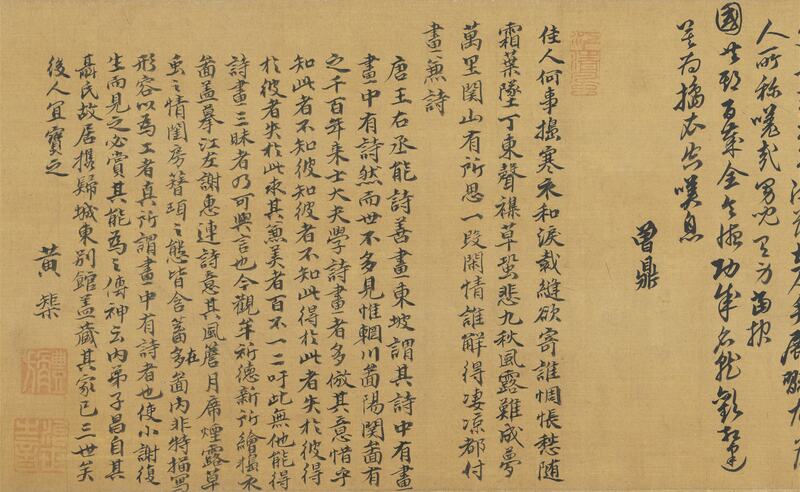 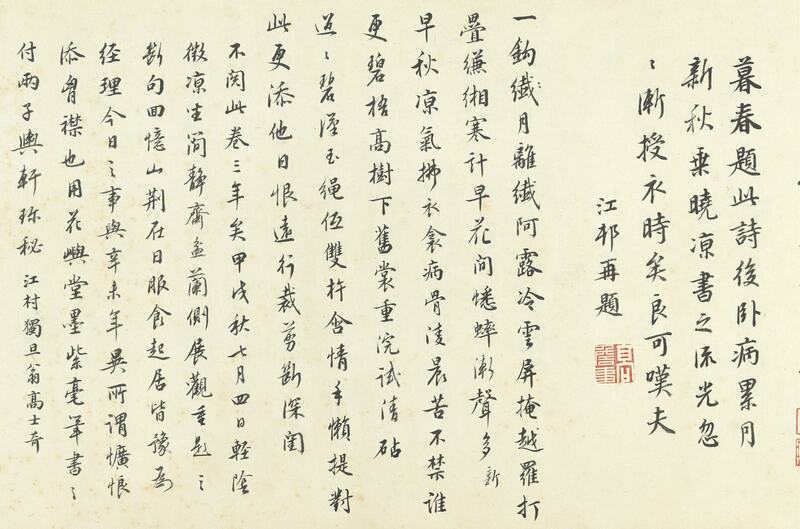 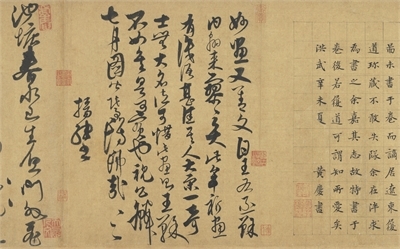 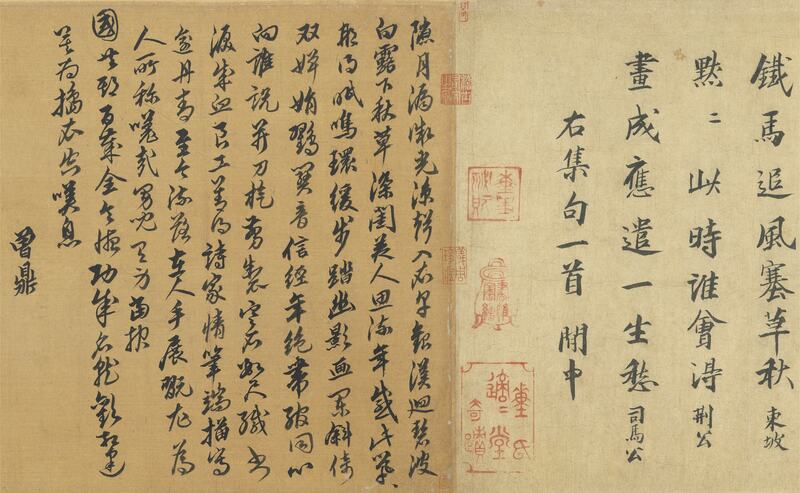 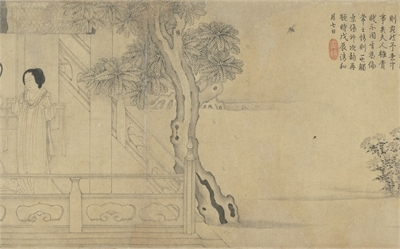 He excelled at painting figures and excelled at archaic writing and seal script. 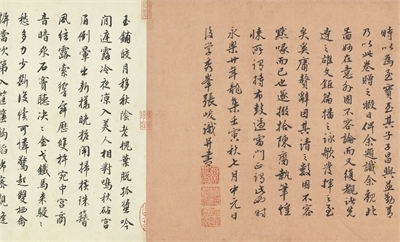 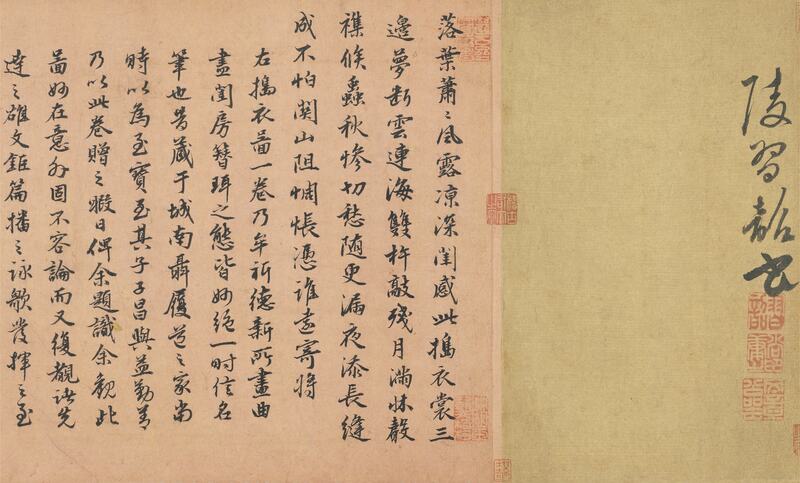 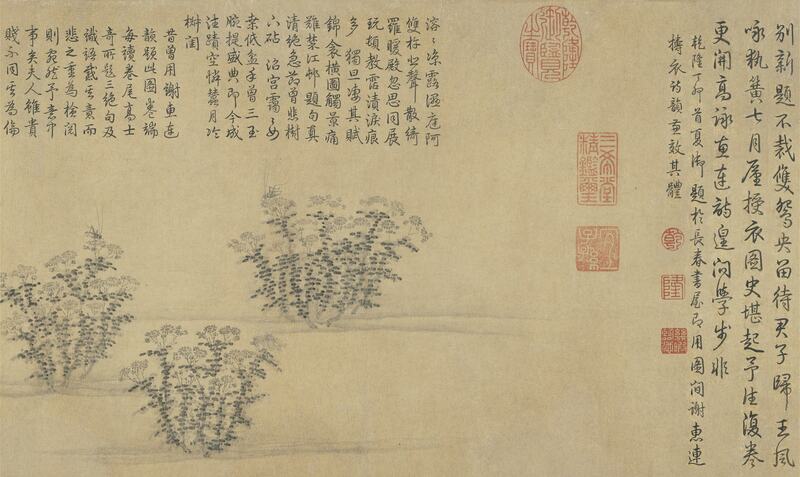 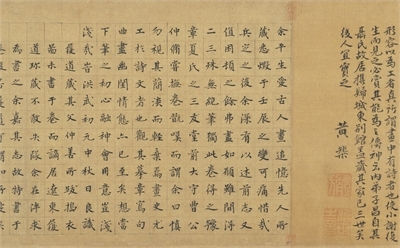 This work, done in 1240, is based on "Poetry on Preparing Clothes" by Xie Huilian (397-433) of the Southern Dynasties period. 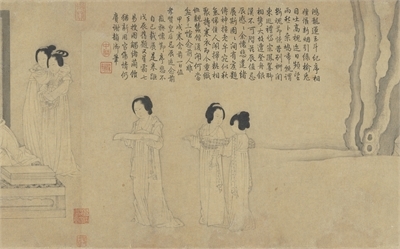 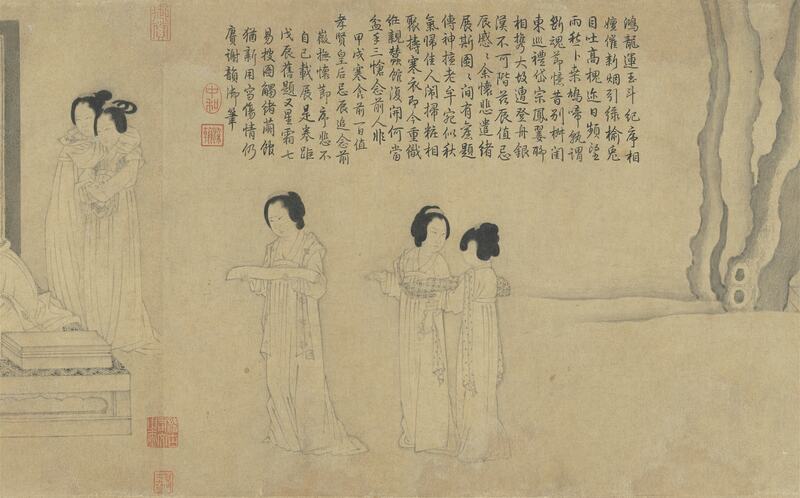 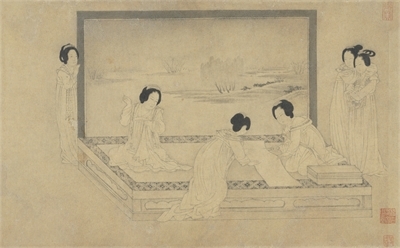 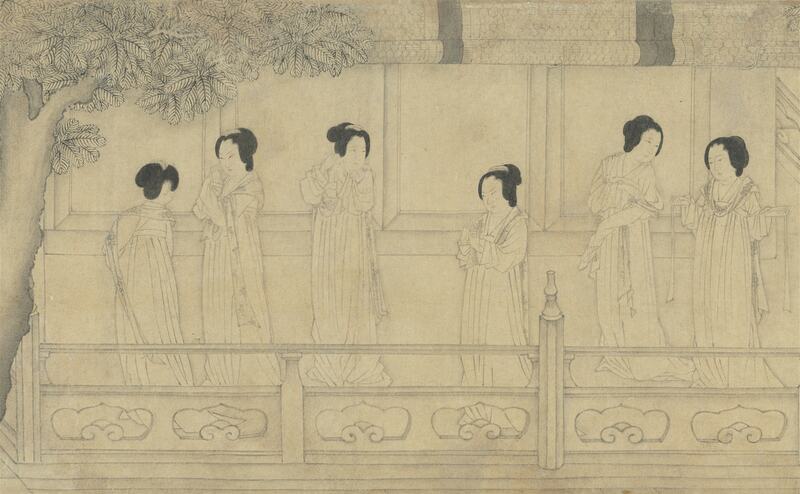 Painted solely in "baimiao" lines of light ink, it depicts 32 women preparing for winter by making clothes for their husbands at the battlefront. Proceeding in sequence, they pound the silk, cut it into pieces, sew them together, and then pack to send the clothes. 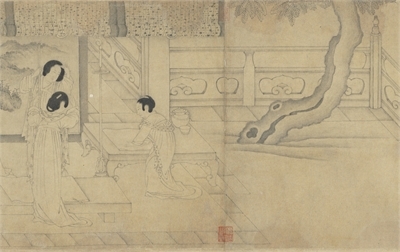 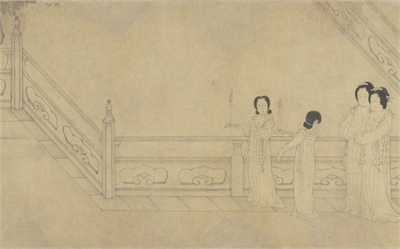 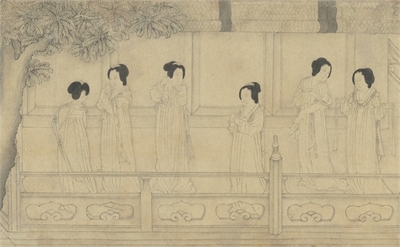 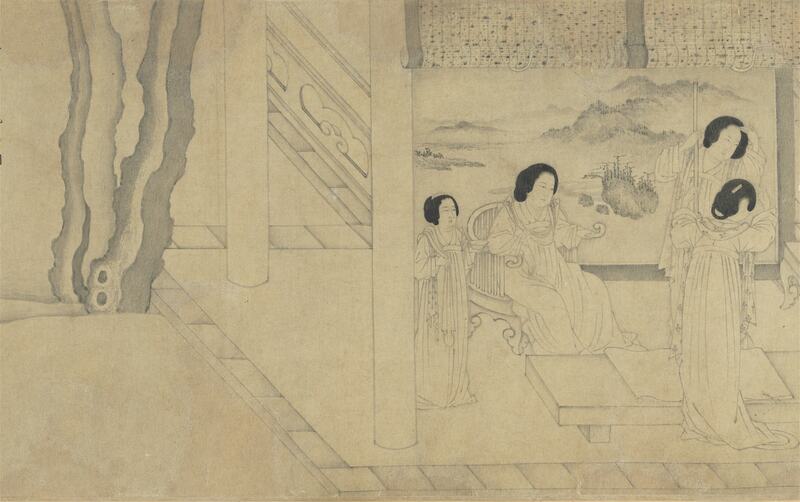 The ladies' faces are round and full, their robes large and flowing, suggesting archaic vestiges of the Tang dynasty aesthetic. 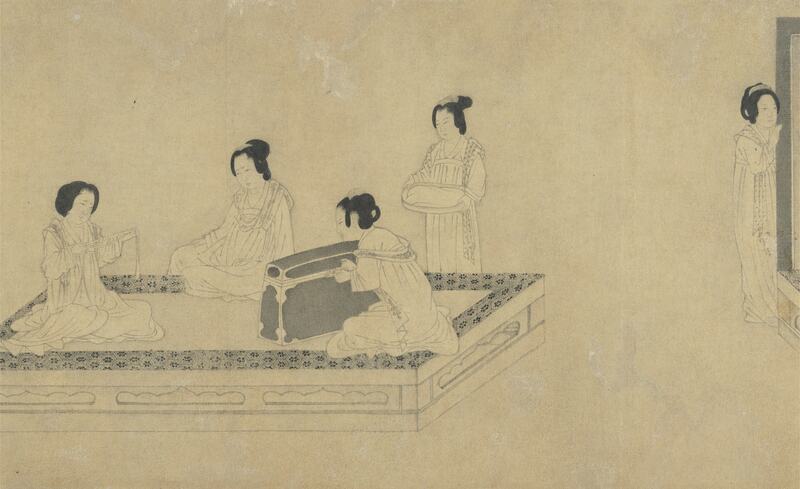 Their deportment is elegant and gracefully refined, but they also have a touch of worry on their faces expressing concern for husbands yet to return from the war. 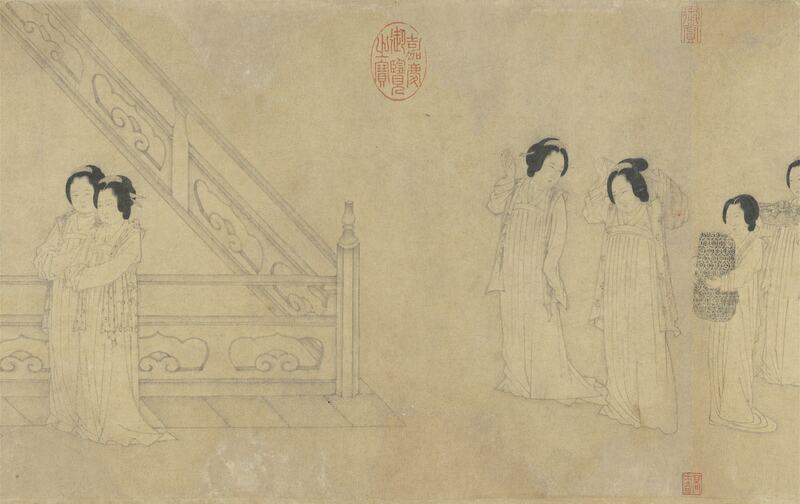 Suffice it to say, among Southern Song (1127-1279) paintings, it captures spousal longing in a most subtle and successful way.